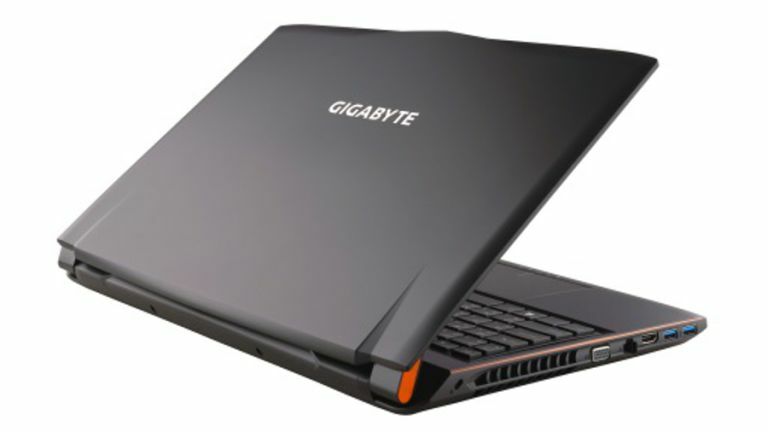 Gigabyte has announced a new gaming laptop featuring a Broadwell CPU and a GTX 970M graphics solution, complemented by what the company describes as a "ravishing" design. We don't know if we'd go quite as far as ravishing, but the lines of the Gigabyte P55W certainly look very smart, with a black chassis and orange highlights finishing off the pleasant aesthetics without being in any danger of getting garish. The 15.6-inch gaming laptop offers a full HD resolution display driven by a Core i7-5700HQ running at 2.7GHz with Turbo up to 3.5GHz, backed with 8GB of 1600MHz RAM. The graphics card is a tasty GeForce GTX 970M with 3GB of video RAM on-board, giving this machine plenty of power when it comes to running more demanding games on the move. In terms of storage, you get a 128GB SSD, along with a 1TB traditional hard drive spinning at 7200rpm. There's an optical drive in the form of a DVD writer, and the Li-ion 6-cell 57Wh battery benefits from Gigabyte's Battery Boost 2.0 technology for what the company describes as “extended gaming sessions” away from a power socket. Although given the hardware here, we don't think any gaming session will be too lengthy if you're playing anything demanding purely on battery power. The full HD display also benefits from an antiglare coating, to cut down on bothersome reflections when it's sunny, and Dolby Digital Plus sound is a further boon. And the price for this Windows 8.1 gaming beast? That would be £1149. Note that there is also a P55K model which cuts one corner, dropping down to a GTX 965M GPU with 2GB of RAM, and that comes in at a slightly more wallet-friendly £999.